Join for this laugh out loud wedding themed murder mystery! 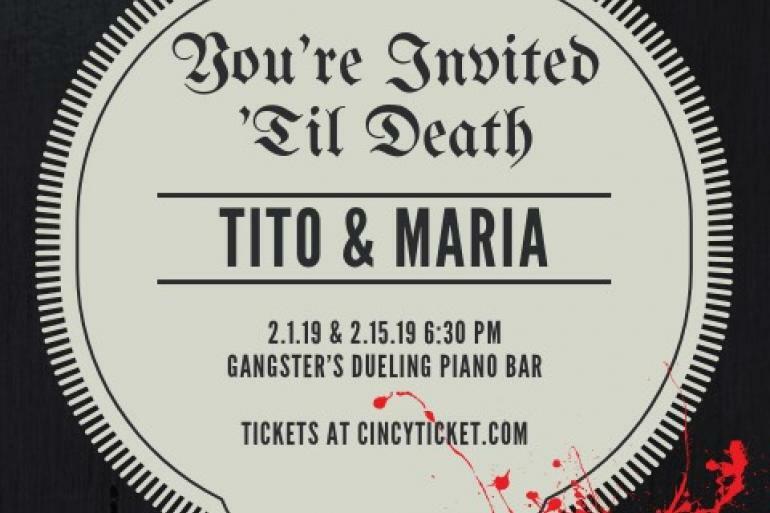 Maria and Tito's wedding is the wedding where everything went wrong...even murder and you can play a part! We will be taking volunteers to be family members and even the bride and groom! The evening will consist of a three-course dinner, drinks, music, and dancing. This event will contain all of the trappings of a typical wedding reception, even the venue!